Critical thinking is one of those skills we often assume students entering college have mastered. But the reality is that many of our students cannot clearly articulate what thinking critically actually means. Others, depending on their previous high school experience, haven’t had to develop this skill at the level needed for college work. Even students who do it well often cannot tell you what steps they take because their critical thinking process is so deeply embedded in their mental model of how they approach their work. The same can be said for instructors –We all want our students to engage in discussion and turn in work that they have viewed through a critical lens regardless of the discipline. But we find it difficult to come up with a framework to help students understand the intricacies of our own critical thinking processes. I have had many discussions with colleagues over the years around this topic. 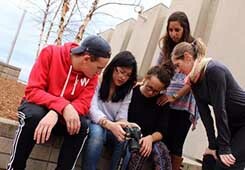 While a few feel it is not the job of a college instructor to teach students how to think critically, most want to help students develop this life-long skill but are unsure how to do it. I’m happy to report that our colleagues at the University of Saint Joseph in Connecticut have tackled this problem in a series of podcasts on the topic of critical thinking. This series, an impressive, continually updated series of podcasts for educators, was the top award winner for innovation at the annual POD conference for faculty developers. Check out project’s homepage – The Critical Thinking Initiative – to understand more about the reasons for the project and what the faculty who developed it hope to accomplish. 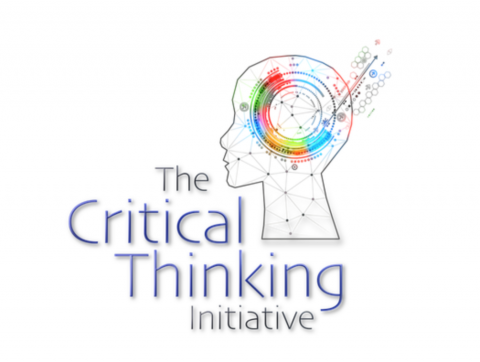 The Critical Thinking Initiative links to a series of nine podcasts on Critical Thinking. The podcasts are effective, informative and informal, and they feature interviews with some of the leaders in the field, including one with the well-known cognitive scientist, Daniel Willingham, from the University of Virginia. All of the podcasts are annotated so you can choose which are most pertinent to your discipline and courses. One of my favorites is “Fostering Metacognition, Growth Mindset, and Grit”. Another excellent resource on teaching is Faculty Focus. This free website has short articles on many topics, including a large number of articles on critical thinking. As we continue to develop and enhance our teaching in a changing world, colleagues across the country are providing resources that help all of us be better teachers. What is YOUR Perspective on Teaching? 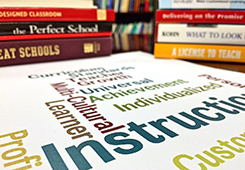 Teaching@Tufts > FACULTY BLOG > Professional Development > What is Critical Thinking?